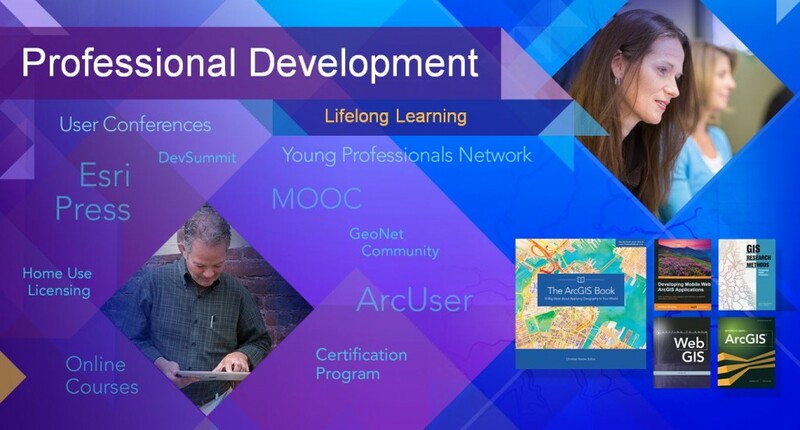 To further support your professional development, we recently announced that the ArcGIS Home Use Program will now extend to the entire Esri product, not just the desktop. We’re also trying to reach out to a whole new generation of users with the Young Professionals Network. This is intended to bring more young people into our community and provide them with networking and professional development opportunities. We have a rich and vibrant partner ecosystem with several thousand formal business partners. Some of them are very large companies that we collaborate with in many ways. These partners extend our product, or work with our product, to support you, and they’re all committed to your success. On the opposite end of the spectrum, we’ve gotten very engaged with the whole community of start-ups over the last year, and there are now hundreds of start-ups that we are working with that are understanding the power of maps and geography. We support about 5,000 non-governmental organizations (NGOs) with software, training, and technical support. We provide our software at virtually no cost to them, and they’re lighting up the world with what they do. 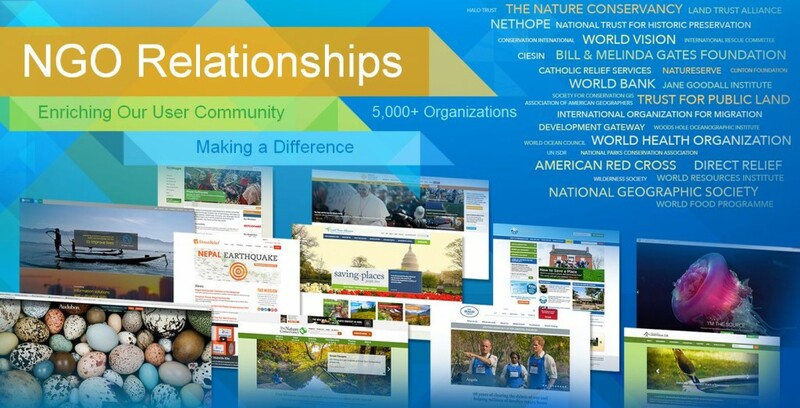 They’re not only making a difference with the tools, but they’re also enriching our entire community in areas such as conservation, education, humanitarian efforts, and much more. We now have thousands of schools around the world who are bringing GIS into their core curriculum getting kids at an early age. These young kids get the idea of geoenlightenment right away. What is the outcome of all of our collective work? When you think about it, it’s only been about 50 years since people started putting maps into computers. And look at the amazing things we’ve been able to accomplish in that relatively short time. As we continue advancing and leveraging GIS and as we keep bringing in new generations of technology as well as new generations of people, my sense is we’re going to achieve extraordinary things. Ultimately, I think that GIS will create a nervous system for our planet as we leverage all of our sensors and measurements. And it’s going to be a system that has the potential to alter the evolution of our planet. It will be a system of understanding, a platform for better decision making, and it will help us all to create a more sustainable future. Is such a future possible? That’s a fundamental question. It haunts me from time to time, particularly when I read the news about what’s going on in the world. But ultimately, I believe that it is possible. Based on my life experience, and watching your work, and seeing the advances that are happening in technology, my sense is this is not only going to be possible, it’s actually going to be inevitable. I want to express how deeply I feel about supporting you and I want to thank you for that. My colleagues and I appreciate the opportunity to serve you. And in the next months and years, I expect to see even more progress in our field.